DAB listeners in North Yorkshire and surrounding areas have access to a new station, which launched today playing an "upbeat mix" of music alongside local news and information. 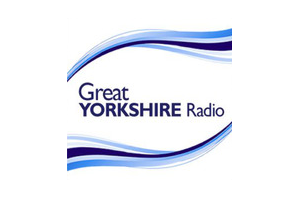 Great Yorkshire Radio has taken a slot on the MuxCo operated local multiplex for North Yorkshire, taking the number of local DAB stations to 10. Programmes started at 8am this morning, following test transmissions over the weekend. Music on the station comes from the "80s, 90s and more" and broadcasts on DAB alongside other digital only local services Radio Yorkshire, Vale Radio and N Yorkshire Oldies, putting the county ahead of much of England with regards the number of local stations broadcasting exclusively on DAB. According to 2015 statistics, 56.7% of households in the county have DAB sets in-home. The North Yorkshire DAB signal also spills over to cover much of the East Riding as well as parts of West Yorkshire. Listeners may need to rescan their DAB radio if Great Yorkshire Radio hasn't automatically appeared in their station list. You can check the predicted coverage area map here, or check postcode level coverage here. Great Yorkshire Radio can also be heard online and via mobile apps for iOS and Android.